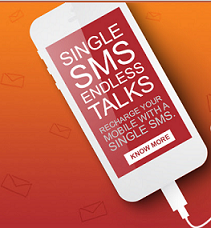 ICICI Bank had launched a very good service to their customers for recharging any prepaid mobile through Facebook Login. One can avail this facility by logging into their facebook account. 2. Visit the ICICI Bank facebook page. 3. Click on the "Charge In" Page and enter the necessary details. 4. You will get the verification message on your Mobile phone.